My friend and former editor at the Philadelphia Inquirer offers a review of Rebecca Foust's Paradise Drive in today's Inquirer. The title poem comes first in this collection - winner of the Press 53 Award for Poetry - and it signals that the locale is Marin County, Calif., crowned by Mount Tamalpais, graced by Phoenix Lake. This is upscale territory. Pilgrim, the protagonist of these sonnets, doesn't feel at home there, if only because she started out elsewhere and otherwise. In "Prime Mover," we learn that "In Pilgrim's childhood home, the prime mover / was not having enough to pay the bills. . . . Dad died / in IRS hock; Mom's heir was Goodwill." 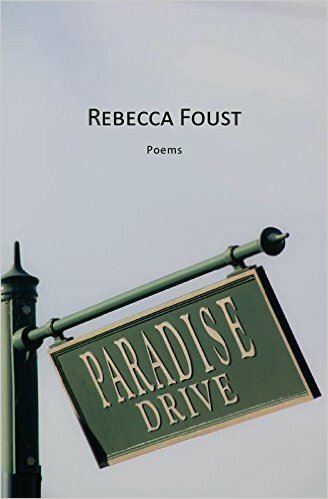 Author Rebecca Foust will be a poet in residence at the West Chester University Poetry Conference in the spring. We dogs have it pretty good around here. but She sure seems to.